Even with the first signs of spring on the horizon, many of us here are still clinging to our cozy wool sweaters (especially since there was just a bunch of snow last week!). 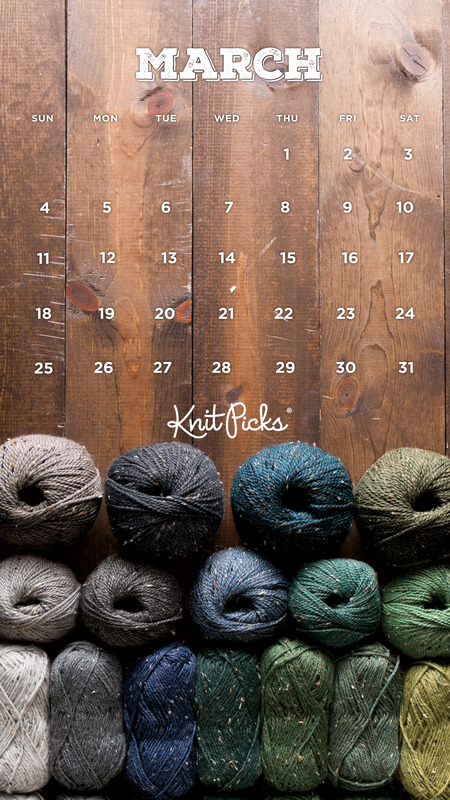 For our free March calendar, we’re featuring our favorite shades of tweedy grey, greens & blues as a last hurrah of cuddly warm sweaters until the fall. To get the March 2018 calendar background of your choosing (smart phones, tablets or desktop computers), simply click the applicable device icon below. Enjoy! Yes. Shiplap is da bomb! I’m not sure if it’s my device or the image but the instructions intended for phones is not the right size and won’t download. I’ve never had a problem before and love the backgrounds.